What do we know about wounds that occur at end of life? Where does wound care begin? As for any patient, good skin and wound care begins with a comprehensive assessment including a risk assessment, and wound assessment. 2 These individuals will also require a comprehensive pain assessment and discussion of quality of life and personal choices. 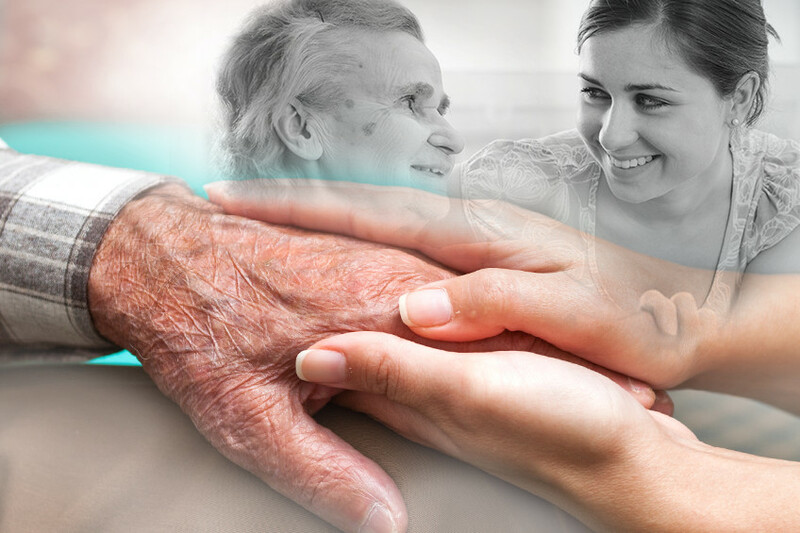 Care should be coordinated between the patient, family and caregivers with the patient’s comfort taking precedence. How to manage pain and exudate? dressing changes. 3 Careful selection of dressings and utilization of dressing material such as silicone, foam, alginate or hydrocolloid dressings will help to manage exudate and control pain. DermaRite’s skin and wound care products help caregivers meet the needs of even the most challenging wound conditions. DermaGinate, our calcium alginate dressing line, is designed for moderate to highly exuding wounds. DermaGinate conforms easily to the wound bed and acquires a soothing gel-like consistency when in contact with moisture and exudate, yet maintains its integrity for ease in dressing removal. DermaGinate AG contains silver to protect against microbial contamination of the dressing, minimizing odor. Both DermaGinate and DermaGinate AG are available in pad and rope forms. Burt T. Palliative care of pressure ulcers in long-term care. Annals of Long-Term Care: Clinical Care and Aging. 2013; 21(3):20-28. Palliative wound care management strategies for palliative patients and their circles of care. Clinical Management, 283, 130-141. ‹ FDA Bans Antimicrobial Soaps – What Does It Mean For You?